Charissa Leung, twenty-year-old violinist from San Jose, California, made her solo debut with the Prometheus Symphony as the winner of the 2015 Khuner Young Artist Competition. She has been a prizewinner of many other regional and statewide competitions and attended the Aspen Music Festival and School from 2013 to 2016. 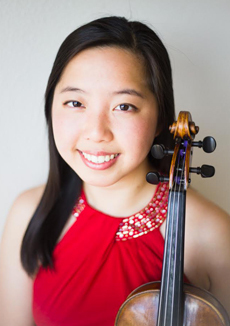 Ms. Leung began her violin studies at age three and is currently a junior at the McDuffie Center for Strings studying with Amy Schwartz Moretti and David Kim.